Singapore, 26 January 2019 – The Philippine Embassy in Singapore held its regular Filipino Community Leaders meeting, where Ambassador Joseph M. Yap announced its plans to hold special activities to mark the 50th Anniversary of the establishment of Philippines-Singapore diplomatic relations. The Embassy presented the official logo of the 50th Anniversary program, the result of a project of the Philippine Embassy in Singapore and the Singapore Embassy in Manila. The hashtag #PHSG will be used for social media postings about anniversary events. The Ambassador said that the major events of the year-long program will include the annual Philippine National Day Reception, Philippine Tourism and Business Fair, a Philippine Investment Summit, and a 50th Anniversary Reception. Other events will include the annual Bayanihan Walk, a ceremonial tree-planting, the launch of Commemorative Stamps to be produced by Philpost and Singapore Post, a screening of Filipino films, an exhibit on the chronology of Philippine-Singapore relations, an exhibit on Philippine fabrics, among others. The Embassy announced that the annual Pagdiriwang event, which is held in June to celebrate Philippine National Day, will follow a different format this year in order to allow more Filipino organizations to take an active lead. The Embassy’s new Deputy Chief of Mission, Mr. Adrian Bernie C. Candolada, was introduced. Mr. Candolada assumed his duties at the Embassy on 19 January 2019. 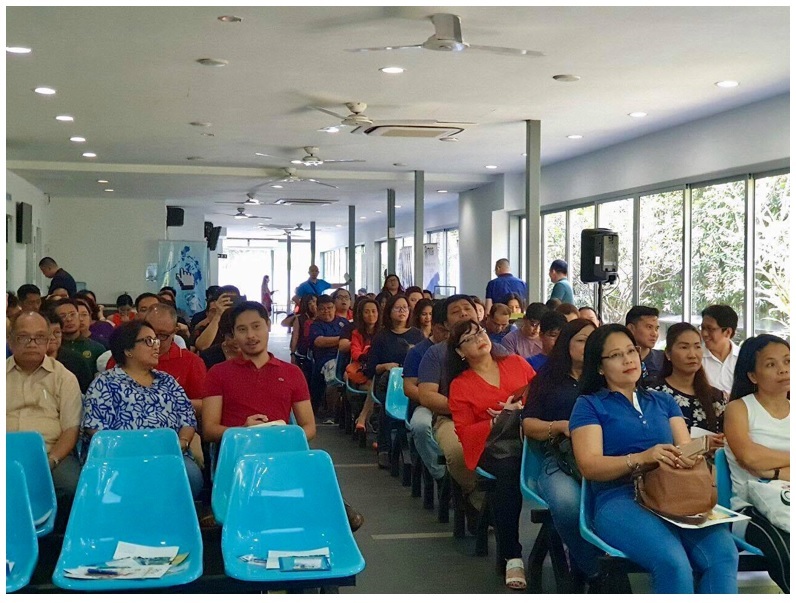 During the Open Forum, the Community Leaders discussed matters regarding the conduct of overseas voting for the 2019 National Election, a certain apartment lease contract issue, and an issue on employment contract verification of some Filipino helpers.